Have you been craving a delicious New York Style pizza, even though you’re located in Viera, FL? Are you looking for an Italian restaurant to be the location for your next dinner party? If you’re looking for great food with high quality ingredients, all at an affordable price, visit Brooklyn Pizza & Pasta, located in Rockledge, FL. Brooklyn Pizza & Pasta began when three paesanos who grew up together in Brooklyn, NY decided that, forty years later in 2005, they wanted to bring a taste of the old neighborhood to the streets of Viera, FL and Rockledge, FL. In 2012, current owners Jeff & Robin Orlando took over after discovering that Viera was a great community and a wonderful place to raise a family. Jeff is a graduate of the International School of Pizza, with certifications from the Scuola Italiana Pizzaioli in Caorle, Italy. His training instilled him with a deep respect for tradition and craftsmanship, ensuring his creations are some of the best. The skill of true pizzaiolos is that they never take shortcuts or sacrifice quality, and that’s exactly what Jeff has brought to the table at Brooklyn Pizza & Pasta. Jeff gives special attention to all of his creations to avoid preservatives, fillers, anti-caking agents, MSG, antibiotics, hormones, artificial flavorings, and dyes. This ensures every meal you have with us is not only delicious, but also good for you. Our goal here at Brooklyn Pizza & Pasta is to serve food with the highest quality ingredients, prepared fresh daily, and cooked to order. Our superb service and family-friendly atmosphere, combined with our appetizing meals, are sure to make you want to come back for more! Thinking you’d rather enjoy your meal at home? We offer carry out pizza options, as well as food and pizza delivery! Contact us today to order! We have delicious New York Pizza! Think we only serve New York Pizza? Think again! Brooklyn Pizza & Pasta does it all. 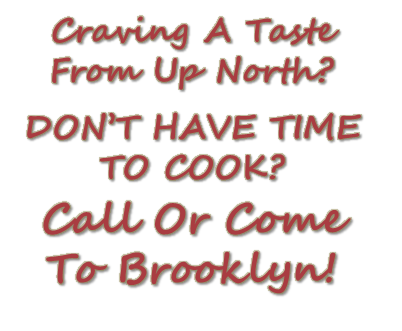 We are known for our classic New York style pizza, as well as our traditional Italian cuisine and homemade soups. We are also switching it up a bit with new offerings that will make you call us for more delicious carry out than ever! Looking for a restaurant with a great atmosphere to enjoy your meal? Our newly renovated kitchen and dining areas are perfect for a quiet lunch away from the office or a dinner get together with your friends and family. We are always looking for ways to stay fresh, exciting, and delicious for you so keep an eye out for our daily specials and you may catch a new creation! Stop in tonight and see what’s going on! In addition to our New York style pizza, we also serve a wide variety of subs, wraps, Stromboli, calzones, seafood, pasta, and much more! Try our Italian Combo sub that is made with fresh Boar’s Head cold cuts. Our Stromboli and calzones are made with the same New York Style pizza dough that we use for our classic pies. We even offer full entrees such as lasagna, pasta alfredo, eggplant parmigiana, and more. Don’t forget the dessert! We love serving Viera, FL with the best Italian food around. 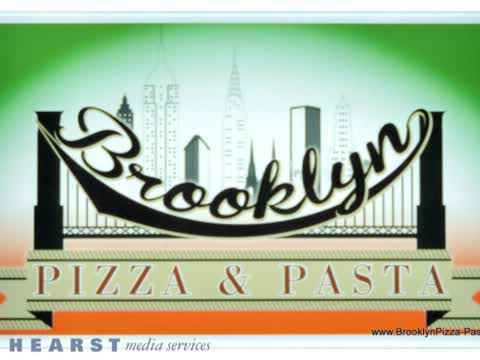 Because of our culinary background, we are proud to say that we have some of the best New York pizza and Italian cuisine in the Viera area so if that’s what you have a taste for, don’t pass up Brooklyn Pizza & Pasta! Along with a variety of pizza options, we offer a selection of delicious entrées, including seafood, chicken, and veal options. If you want to bring the taste of Italy into your home, call us for carry out pizza and food options! We even offer pizza delivery options so you don’t even have to leave after a long day’s work. Stop in today to check out the new Brooklyn Pizza & Pasta! We have the pizza that you’ve been looking for! We provide FREE pizza delivery and we also give you the option of calling ahead for carry out pizza or food options. We proudly serve the Viera, FL and Rockledge, FL areas.